Janiya Castleberry, left, and her teacher Allison McGinnis died days apart after being injured in separate car accidents. 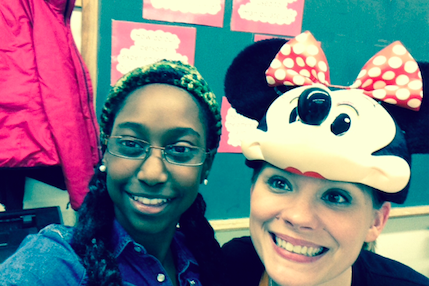 South Jersey will remember student Janiya Castleberry and teacher Allison McGinnis at 7 p.m. Thursday. The vigil is set for McDowell Field at the Helen Fort/Newcomb Middle School in Pemberton, where McGinnis taught and Castleberry was a rising eighth-grader. Castleberry, 13, died Aug. 20 following a car accident earlier in the month in Southampton. The first non-family member to see the student while she was hospitalized was McGinnis, 29, who had taught Castleberry in the Pemberton schools. McGinnis, who went to her student’s funeral along with a host of teachers, died in Southampton on Aug. 27 while running along Route 206 in preparation for a foot race in Hawaii. Eldridge died in the incident and Miller was transported to a trauma center with severe injuries. The incident, which closed Route 206 for hours, is under investigation.